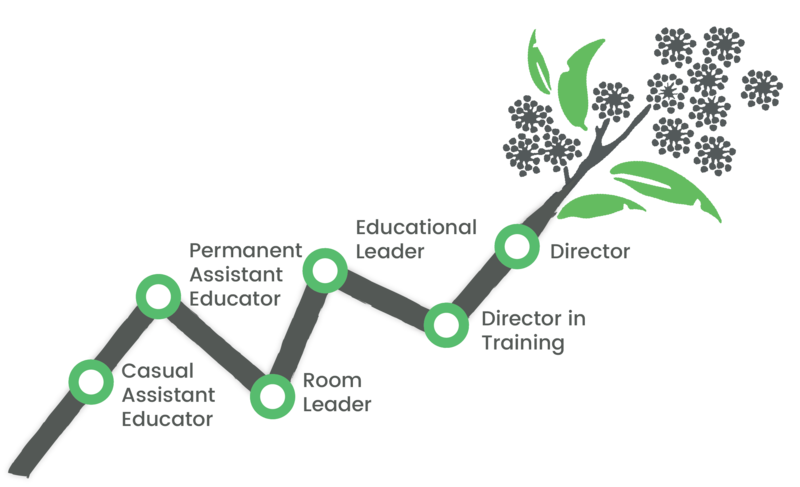 Join leaders in the industry in delivering authentic Reggio Emilia inspired, quality early education. At Explorers Early Learning we believe all children are strong, capable and resilient; full of wonder and knowledge. We aim to embrace children’s curiosity, challenge their thinking and facilitate their eagerness to learn. We are always looking for new staff who are just as passionate about the wellbeing and education of children as we are. With four centres operating across Melbourne, and exciting new locations opening in the next six months, now is the perfect time to make your next great career move with us. We love to nurture our people just as much as we love nurturing our children. Here is an example of a career path you could have at Explorers. The Explorers team is filled with energetic, passionate and dedicated people who live our values, share our vision and embrace the Reggio Emilia approach. We pride ourselves in not only the quality of our educators, but also how we look after, support and appreciate you. Fore more info see: why work with us?